To request a change or cancellation for an already scheduled service, visit your Schedule page. We will review your request, ask for any clarification if needed, and get back in touch with you to confirm the requested changes. 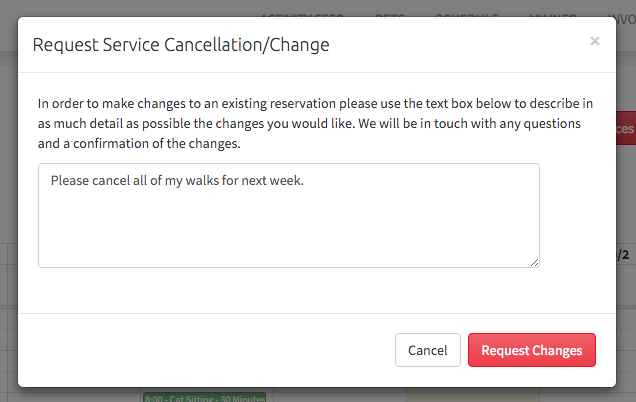 Changes/Cancellations should not be consider confirmed until you hear back from us with a confirmation.